Mycorrhizal with Douglas Fir trees. Edible, but with a slimy reputation as with most mushrooms of this genus. Only fresh young specimens should be collected if at all. 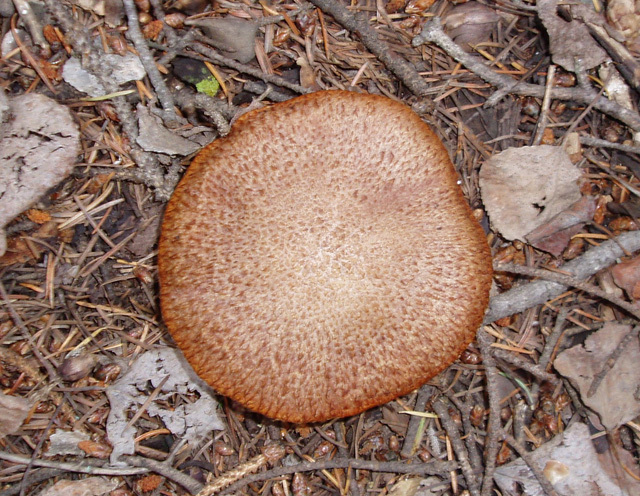 This is one of the few Suillus not associated with Pines. Also known as the Matte Jack. It can usually be found in great abundance. Most of the time riddled with bugs. To prepare for the table remove sponge layer and skin.